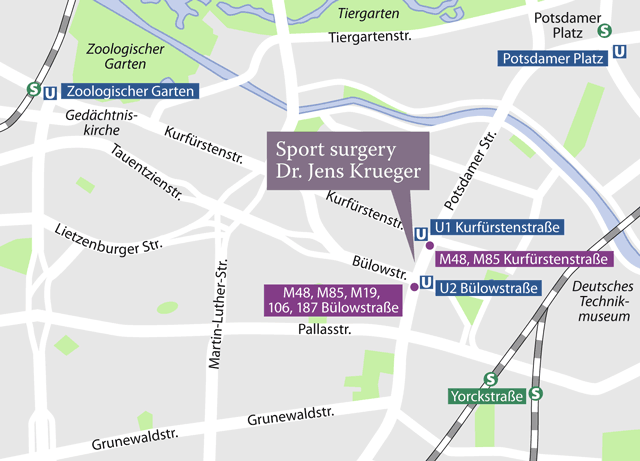 Patients who travel to Berlin by train (Hauptbahnhof/Central Station) can reach the practice using bus route M85, train line S7, underground line U2, or by taxi. Tegel airport is approx. 20 mins away (taxi). Schoenefeld airport is approx. 1 hr away (S9 and U2).